Investing Online - Is All Real Estate Still "Local"? We’ve all heard the old saying: all real estate is local. Since before the internet, before the Securities Act of 1933, and even before the rise of modern cities, real estate investors have understood the importance of knowing the specifics of the places they invest – demographic trends, economic growth, and all the other qualitative and quantitative factors that can help inform decision making. Deep local knowledge is often viewed as crucial to making strong investment decisions and mitigating risk. At first glance, the new world of online real estate marketplaces (or “crowdfunding” platforms) may appear antithetical to this spirit. While we acknowledge that real estate investing can’t be as “local” when transacted online, we still believe that the personal element remains key, along with understanding markets at both the macro and micro level. Here are some of the ways we believe online real estate investing platforms can, and should, retain the spirit of “all real estate is local”, while simultaneously bringing improved access, efficiency and transparency to real estate investing. You May Not Understand the Market Intimately, but the Sponsor Should – In a very real sense, when you invest through a solid platform, you are investing alongside an experienced real estate company. Whether you’re investing in debt alongside a professional lender or equity alongside an established sponsor they invested both their own money and their time and reputation in each deal. We only select real estate companies with a proven track record of delivering on business plans and carrying out successful projects. In almost all cases, that history of success is forged through intimate knowledge of the market where the sponsor operates, and experience with the particular type of project and category of asset in which they are investing. Modes of Communication Change, Communication Remains Key – When investing alongside a real estate company through an online platform, you likely won’t have the chance to look them in the eye and shake their hand. Such are the times. Just because the transaction and communication take place digitally, though, does not mean the process needs to be opaque. Quite the contrary, we believe that prospective investors are entitled to scrutinize a project as much as they need to feel confident in it, and that a sponsor’s strategy and methodology should be thoroughly communicated, and any and all questions should be answered. We work with sponsors to bring projects to life as much as possible, with video to highlight the investment opportunity, conference calls to connect the sponsor with investors, and detailed assessment of the market and comparables on our offering pages. You might not be able to see and touch the real estate you’re investing in, but we will make the project as tangible as possible. Diversification Helps Provide Portfolio Stability – One of the benefits of investing through online real estate investment platforms is that you are not constrained to investing in just the one or two opportunities that come your way. The best platforms keep investment minimums low, feature new investment opportunities regularly and facilitate creating a diversified portfolio of real estate. 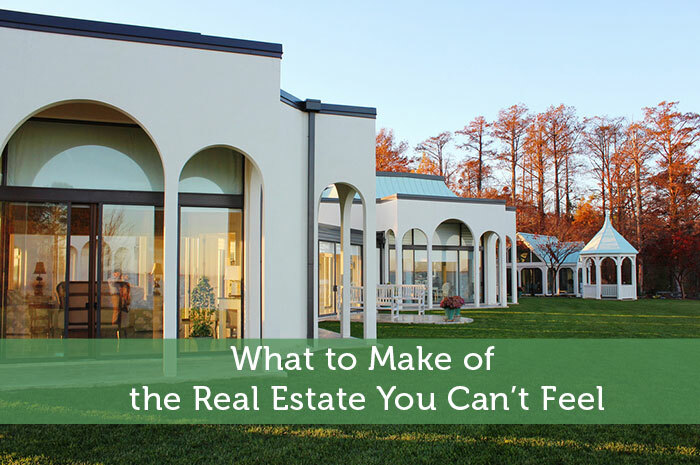 Just like very few investors invest in just one stock, there are real benefits to spreading your real estate investment dollars across many opportunities. Out of Sight, Not Out of Mind – Though you may never see the project you invest in, or even set foot in the city where it’s located, you are contributing to economic growth. In 2015, investors helped us close on a redevelopment of a warehouse into a multi-use facility in Bushwick, Brooklyn, with the majority of the square-footage devoted to a new music venue. As the project progresses and the venue operators begin hosting concerts, investors should be satisfied to know that they helped bring vibrance and culture to a block previously characterized by drab warehouse space. We report on progress throughout the lifetime of projects to help investors see their money at work. Of course, receiving distributions doesn’t hurt either.